Revolutionary heating tools win the Red Dot Award - Yellon - Arkitektur, Design och Kommunikation - Jönköping • Malmö • Stockholm • Berlin. Revolutionary heating tools win the Red Dot Award - Yellon - Arkitektur, Design och Kommunikation - Jönköping • Malmö • Stockholm • Berlin. The Sievert Professional Series are powerful and ergonomic heating tools. Now, the product design by Yellon has received one of the most prestigious international design awards. This year, more than 5,500 entries from 54 countries competed in the Red Dot Award in the Product Design category. An expert jury consisting of about 40 independent designers, design professionals and specialised journalists has tested, discussed and evaluated each individual product according to criteria such as innovation, quality and function. ‘We have worked with a coherent and rigorous visual expression to convey industrial poise and innovation power, and strengthened the brand with the orange accent colour and grey and black colour palette of the visual identity. In addition, the design has improved user-friendliness and minimised the weight through a combination of rubber, hard plastic and slim dimensions,’ says Martin Sallander, Product Designer at Yellon. ‘We are, of course, very proud that our new form of expression gets this kind of attention. 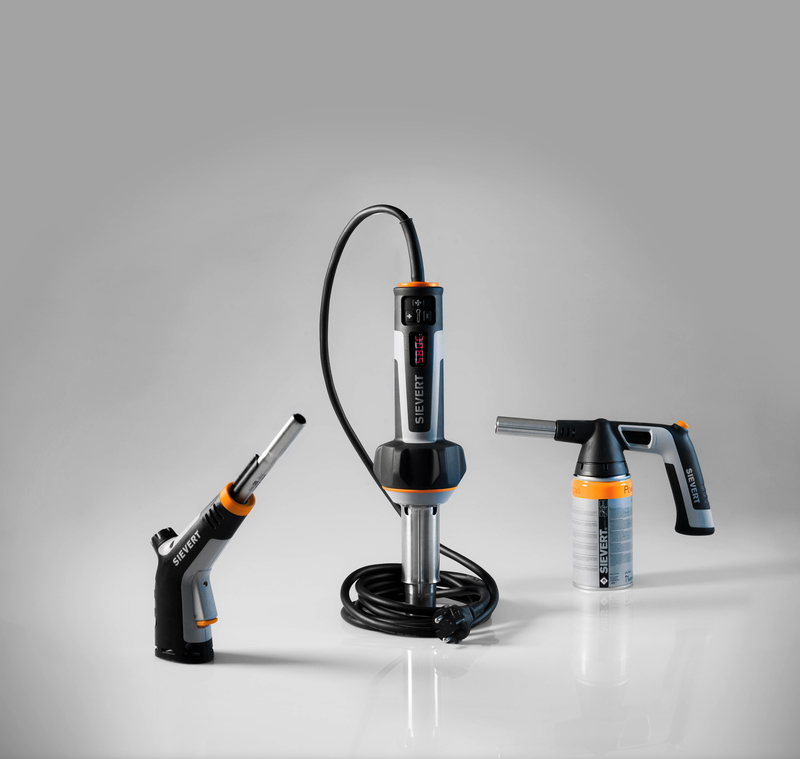 Our customers, both in Sweden and internationally, have already commended our latest hot air tool, the DW 3000,’ says Mikael Brelin, CEO of Sievert AB. The Sievert Professional Series has also strengthened Sievert’s global position, not least by opening the door to the largest industry distributors in the USA, where American manufacturers usually dominate. This is the fourth time that Yellon has received this award. Previously, their designs of Agito Relax and Orbit for Hags and Evosense for MMA have received the Red Dot Award. The award ceremony will take place in Essen on 3 July. ‘We are always equally proud. The Red Dot Award is a desirable quality stamp, and thus a proof of what we can do for our customers. Design is becoming increasingly important as a strategic tool,’ says Markus Leijonberg, CEO of Yellon.